Click on photo to download or print. What could be more cool and convenient than cupcake toppers? 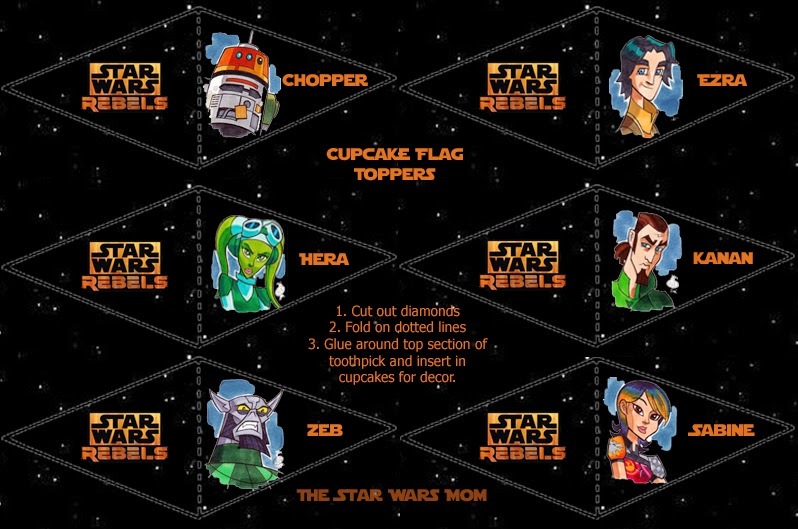 Star Wars Rebels cupcake toppers! You asked for it and I produced it, but I must give credit where credit is due. As you know all of our Star Wars free printables, including Star Wars Rebels are all from products of now both Disney and LucasFilm, but sometimes we have amazing artists who work out concepts that we incorporate into our line of free printables. Today, on our cupcake toppers we have the amazing artwork of Chad73. Be sure to check out his page and give him some love, the guy does amazing fan art of all our favorite characters.